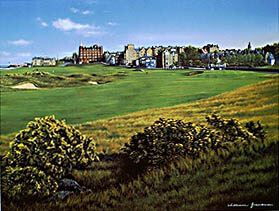 St. Andrews, Scotland; Old Course. Notorious Hell Bunker, took Jack Nicklaus 5 shots to get out. 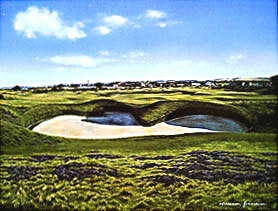 * Golf Art recomends a Spruce mat with Sand inner in a Mahogony frame.